"cause and effect" - "you get out what you put in" - "you reap only what you sow"
When you think about the above you can only agree that each phrase makes perfect sense. The problem with these phrases in relation so Salon Business Growth is that your staff are not as motivated as you are; and if we're honest they will put in as little effort as you will let them get away with. That's just human nature! However you do not have to accept "good enough" or "9-to-5" attitudes and this is where Salon Strategy makes the difference between an ordinary salon and mega-successful salon. If you have a real strategy for managing your stylists and the way that they interact with your clients your business will grow! 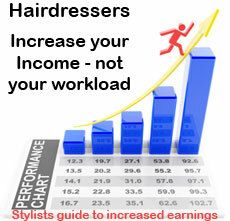 "the majority of stylists only work to 60% of their true potential"
Many salon owners say to me that their managers have a lid on this and there are no issues. However I can assure you that if there is no written human resources strategy then the majority of your staff will only be working to 60% of their potential. 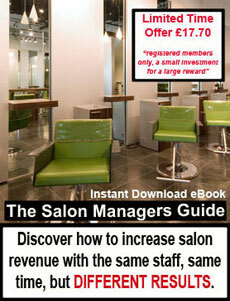 In order to help demonstrate my point please watch this short presentation on productive Salon Business Management.